Every trade has tools that are essential to performance, and makeup artistry is no different! In order to be successful, those tools need to be cared for properly. We have everything you need to keep your makeup brushes clean and ready to go for each and every client! Makeup Brush Cleaner / 8 oz. Extend the life of brushes by removing all traces of make-up and residue. 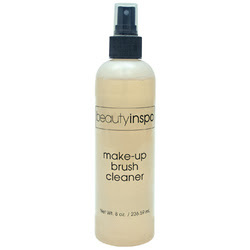 This make-up brush cleaner helps to dissolve liquids, powders, adhesives, and wax based products! Add this to your makeup arsenal to provide the highest level of sanitary makeup services. 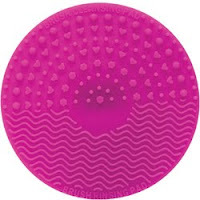 Silicone brush cleansing pad with dual patterns; one for rinsing, one for cleaning! Features handle with a suction cup for easy use! These and more can all be found at PureSpaDirect.com! Don't forget - your clients probably have makeup brushes at home too, making these items ideal for retail as well!